Homepage. 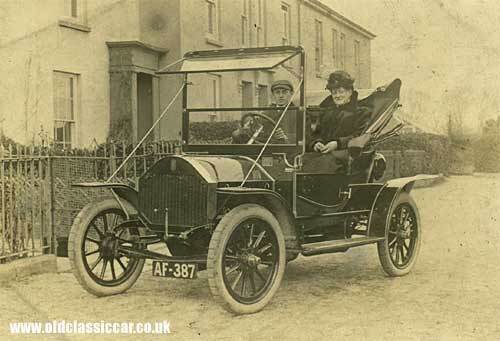 This page: Find out more about the date of registration of a vintage or classic car from it's reg. number. Being able to shed light on when a car was registered can be a big help when it comes to dating not only old cars and other vehicles, but also photographs that feature older road-registered vehicles. 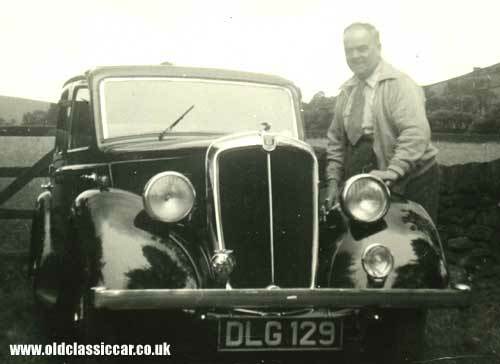 A search through this section of the oldclassiccar site should help with researching an older car's history. There are over 600 pages in this section, the data grouped together by registration number location letters. The location letters are the one or two letters of the alphabet that appear on older vehicles' numberplates which relate to a particular licensing office. For example, if a 60's car was registered as BND 468G, or a pre-war car as ND 3456, the letters "ND" would be that registration's location letters. A look at the ND letter code page confirms that this was a Manchester-area letter code. Dates for the various "ND" registrations are then listed. So once you know the letter code to look for, visit the appropriate page linked to in the righthand menu, and find out more about when that series was used. It isn't unusual for a letter code to have been used on several different occasions during the 20th Century. Here is a Coventry Humber, reg. no. AF 387. A look on the AF page confirms that this series was issued in the Cornwall area. The two-letter AF code ran from December 1903 through to November 1924. Next, a photo of a Series 2 Morris 10. The LG series was used in Cheshire. DLG in particular was used on five separate occasions during the period this data covers. The nearest match is the issue from June 1936 onwards. Whereas some registration periods run over many years, the GW series shown on this motorcycle is very specific. GW was used in London, from December 1931 through to March 1932 only. Please note that there are many 'end dates' that have yet to be identified, but where they are known, they have been included. Equally, this information can only be used as a guide to help narrow down the dating of any particular car. However I hope it is of some interest, I've used this information repeatedly to help identify some of the vintage car photos that appear on the site. My thanks to Brian, from Motordata Events Ltd, for providing me with the source information on which this section was assembled, and for him agreeing to it being used on the site. 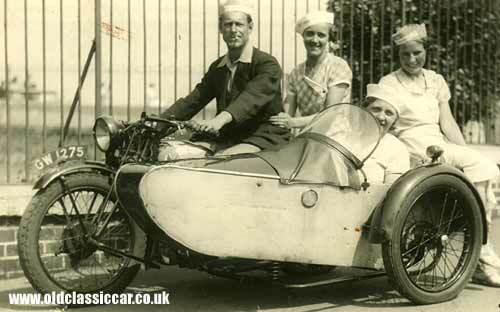 Some further tips on researching a car's history can be found in this article.